Sunday Supper Suggestion, Blue Cheese Biscuits - Our Sunday Cafe, the Retirement Edition! I love blue cheese, absolutely love it. I will often buy a big chunk or container of crumbles, use it many times over and then I tend to forget about it, in the back of the fridge. When I come across it again, it is a bit aged, still good mind you, just stronger and not quite as pretty on a salad. Cheese should never be wasted, never I say! These biscuits are just the ticket to use up and enjoy all that delicious blue cheese flavor. Combine flour, baking powder, soda, salt and sugar. Whisk to combine. Cut in butter until mixture is the texture of cornmeal or coarse crumbs. I usually do this by hand, pinching the butter into the flour. Stir in cheeses and onions, gently mixing to combine. Add buttermilk and stir to moisten evenly. Drop into 12 equal sized mounds on prepared baking sheet. 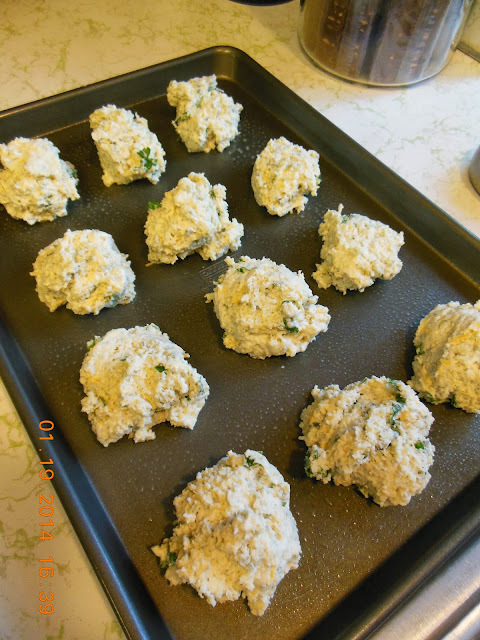 Blue Cheese Drop Biscuits, ready to bake. Bake 16-20 minutes until golden or until done in your oven. Turn pan around for even baking if needed at the half way point. I miss Sunday Supper. It used to be my favorite part of the week. Thanks for bringing back those memories. Thanks for the invitation, I will pop over. We always had a special Sunday Supper growing up and after I got married and we had children we continued that tradition. Will add these biscuits for something special added to our day. 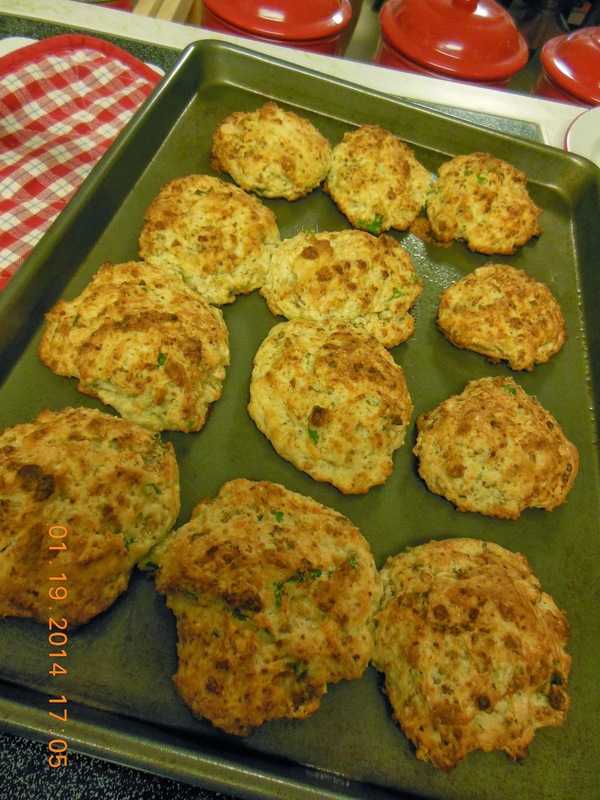 Thank you for stopping by, and if you enjoy blue cheese, you will love these biscuits. I have enjoyed seeing the comments of how much other folks also enjoy the Sunday dinner tradition. I miss having family dinners with my parents. I moved away after high school and rarely see them during the year. I always make it a point to come home for a holiday though. I am looking forward to trying out this recipe. My better half and I are working on cooking more food so we can have leftovers, and this sounds like it would be a fun addition to our list. Hi Jenn, please try them, they are savory and delicious. Leftovers are great, so keep cooking! These are a must, will be saving to my pinterest to make in future, never thought of using blue cheese in biscuits, yum! Thank you, if you love blue cheese, these are just the biscuit to enjoy! Sign me up, I love bleu cheese in anything! Jenna, I hope you try them, they are so good. Thanks for dropping by.